Can Alcohol and Migraine Disease Mix? Alcohol routinely appears on lists of migraine triggers. But many people enjoy having an occasional drink or glass of wine. Should you give this up if you’ve been diagnosed with migraine disease? It depends. About one-third of migraineurs report alcohol is a trigger for their attacks. But the authors of a recent research study believe the connection between alcohol and migraine attacks is overstated. 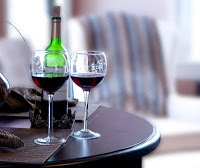 They think consumption of small amounts of alcoholic beverages is okay for people living with migraine disease, whether for enjoyment or cardiovascular benefit. If you enjoy alcoholic beverages but worry they might be a migraine trigger for you, your best bet is to keep a diary for a few months. Track everything you eat and drink and track your migraine attacks. By looking back through this data you can often spot patterns or trends in your attacks related to specific triggers. If you notice a particular type of beer, wine or cocktail causes you problems, find a substitute. Unfortunately, the process of identifying food and drink migraine triggers is an art rather than a science. Triggers are complicated. First, no two migraineurs have the same list of triggers. Second, they are stackable. This means that while one trigger alone may not cause a migraine attack, a few triggers “stacked” on top of each other does (a glass of wine + exertion & not enough sleep, for instance). Finally, the amount of time it takes for a trigger to set in varies greatly. It could be anywhere from hours to days. Frequently alcohol-induced migraine attacks will look one of two ways. One, the attack will come on rapidly (from 30 minutes to 3 hours) following consumption of the triggering food or drink. Two, the attack presents itself in hangover form (i.e. the next morning). In addition to looking for patterns in your consumption, also recognize that some forms of alcohol are more likely to trigger migraine attacks than others. Red wine is a very common trigger. Are you able to consume alcohol? How often? What limits do you put on yourself?